Click to see more details of the book. In 1914, William Warner joined the Australian Navy with the rank of Boy 2nd Class. Back then a boy of 14 years old could join the navy but they would at first be sent to the training ship HMAS Tingara. After completion of training, he was promoted to Boy 1st Class and was transferred to HMAS Australia. This book is the extraordinary story of his life on the Australia. Mostly employed on the lower decks. He has recorded rare in-depth details of conditions prevailing on a capital warship in WW1. This book is valuable reading for anyone researching the life and times of a sailor serving during WW1 on an Australian warship. 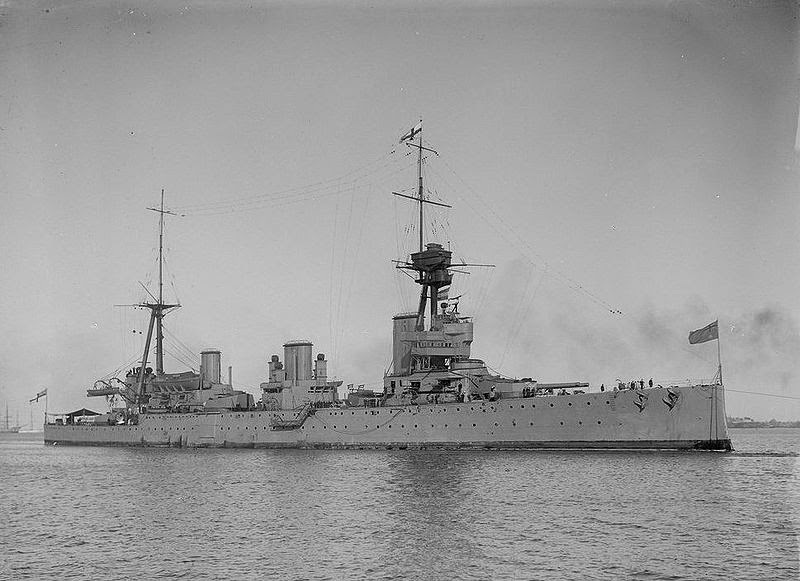 The Australia Government ordered HMAS Australia from the British in 1909. Being launched in 1911, she became the flagship of the Royal Australian Navy. A Indefatigable Class Battlecruiser she was the pride of the Navy and honoured by a Nation. Prior to WW1 she visited many Australian ports, a large imposing ship of 22000 tons with eight 12 inch guns. The likes of which had never been seen before in the Australian Navy. At the start of World War I, HMAS Australia sailed with the Australian and New Zealand Forces to attack German interests in New Guinea and the Pacific Islands. The Australia was especially required to find and destroy the German East Asia Naval Squadron. After the successful completion of her Pacific duties the Australia journeyed to Great Britain to help block German ships from entering the North Sea and undertake convoy duties. In 1924, as a requirement of the disarmament Washington Naval Treaty the Australia was scuttled off of Sydney Heads.